Crown group Galliformes include the Australasian Megapodiidae (megapodes), which are the sister taxon of a clade including the New World Cracidae (guans, chachalacas, and curassows) and the globally distributed Phasianidae (grouse, quails, pheasants, and allies) (Cracraft et al. 2004; Ericson et al. 2006). 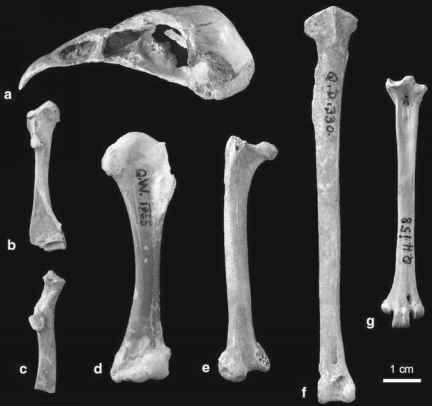 Although stem group Galliformes may have already existed in the late Cretaceous (see Chap. 4), identification of the fragmentary remains needs to be corroborated with additional specimens. 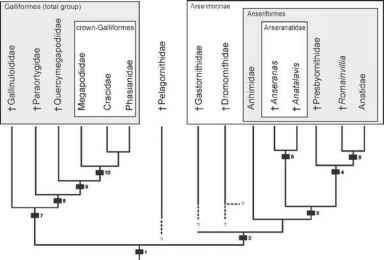 The Paleogene record of galliform birds, however, is quite extensive and provides some insights into the evolutionary history of the group. Most notably, no Paleogene galliform birds have as yet been recorded from Africa, and the fossils indicate a Northern Hemisphere diversification of the taxon (see also Sect. 17.2.1).